What is the CP? The CP is a framework of international education that incorporates the values of the IB into a unique programme addressing the needs of students engaged in career-related education. The programme leads to further/higher education, apprenticeships or employment. Find out more about the CP. 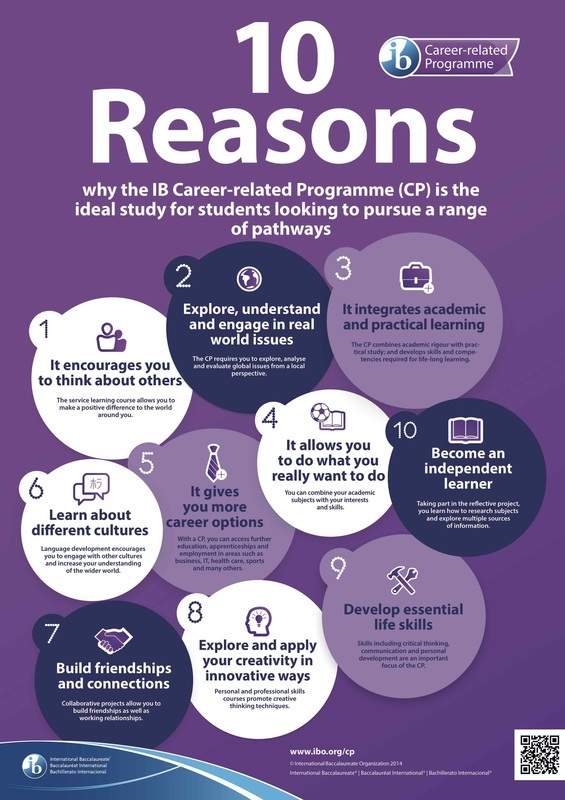 The CP core bridges the IB academic courses and the career-related study and provides students with a combination of academic and practical skills. Is the CP the right choice for you? "It allows me to do all the subjects that I really want to do and enjoy." "I can pursue my career I wanted by taking the IB diploma classes that will help me in college and continue on in the passions I wanted...."
"I like that the CP allows me to study a wide variety of subjects at a high level which can help me with future employment and future studies."